Your target group is waiting for you. Our media specialists know where! Trebbau direct media will plan the optimum placement of your advertising campaigns, from local through to international and across all online and offline advertising media, and will devise the most efficient media plan for you – across all borders. Thanks to our many years of experience, we have established knowledge about all relevant forms of media, such as print, online, outdoor advertising and radio broadcasting, and will work out just the right mix of media for you and your specific target areas. Talk to one of our media experts today for a tailored quote. We will plan your campaign presence, paying careful attention to every little detail. Our staff are skilled, personal and highly-motivated! Advice from us is completely independent. At Trebbau you won’t find any hidden commission, placement of advertising that is not tailored to your target group or secret discounts. Our planning is entirely focussed around your target group! Classic media advertising and dialogue marketing are often employed as separate and sometimes as exclusive communication strategies. But nowadays multi-channel customers expect more. 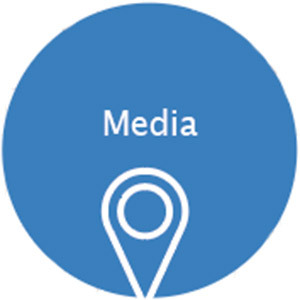 That is why our media planning combines classic and dialogue-based measures, connects on and offline, and provides you with precisely the synergistic cross-media effects that you need to maintain existing customer relationships and to win new customers. 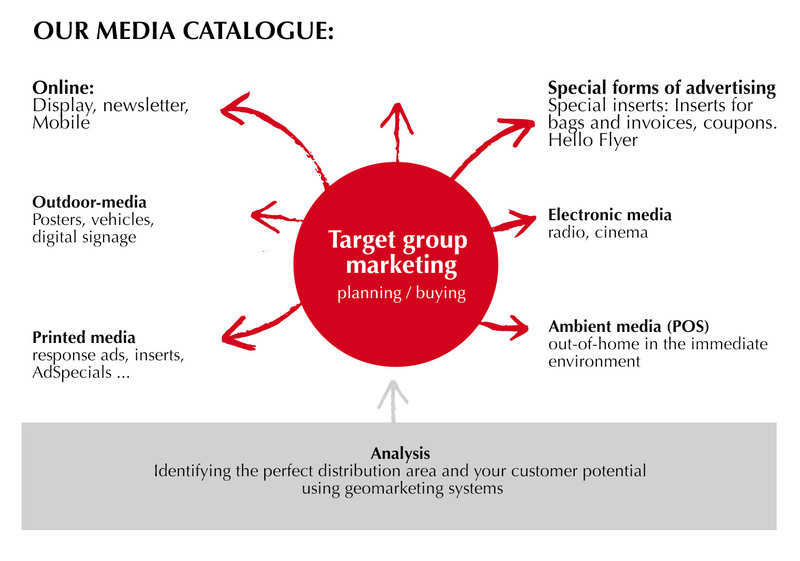 We convert your dialogue target group into a media target group or your media target group into address potential. There are many ways to place advertisements for your company. Printed ads, online advertising and outdoor advertising are just a few of the options. With Trebbau direct media you can plan and run your advertising campaigns not just nationally, but also internationally. As experts in regional marketing, we are also the perfect partner if you are a regional trader or branch and want to know where to place your advertisement effectively in your region, or what online and offline options are available to you. Regional marketing covers not only the full range of print, billboard, radio and cinema advertising, tailored to your needs and your target group, but also target group-based and regional distribution of your brochures/flyers/special advertising formats via a Postwurfspezial, direct distribution or in the immediate vicinity of your potential customers. As well as national campaigns, Trebbau can support you in regional media planning to boost your sales. When planning advertising campaigns for chain stores, one of the most important prerequisites is information about the local area. You need to analyse these key figures and make optimum use of them in your media planning. We know how to go about this and have access to both data on buying power and appropriate software for planning. Comprehensive micro-geographic data from a range of sources is available to us and forms the basis of our advertising media planning for advertising your branch. Why not employ Trebbau as your media agent? We are happy to take over individual aspects of dialogue marketing for you or to provide you with the full range that a media agency can offer. Contact our media team today for some non-binding advice.